Come to Woofstock for a day of fun and excitement for you and your dog. Woofstock as an annual event held in Balboa Park to benefit Canine Campanions for Independence. 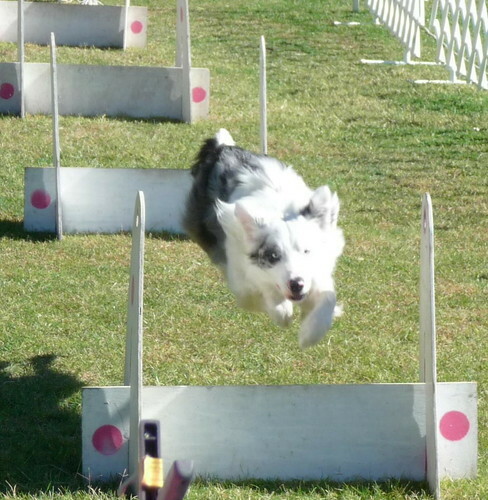 This event features Flyball Racing, Disc Dogs, a Fun Dog Walk, Dog Contests, and a multitude of Dog Activities. Here is the best opportunity for you to shop for dog related supplies with over thirty vendors which can supply you with the latest and greatest dog toys and items. Of course, there is human food as well as dog treats and some great performances by talented dogs and handlers. 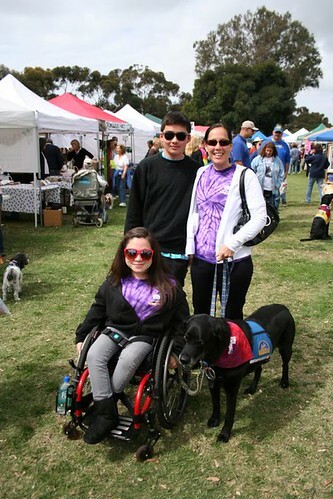 If you have a dog, you don’t want to miss this Saturday’s event at beautiful Balboa Park from 10 to 3 on April 10th. It’s fun, an outing for you and your dog, and goes to benefit a great cause, CCI (Canine Companions for Independence. 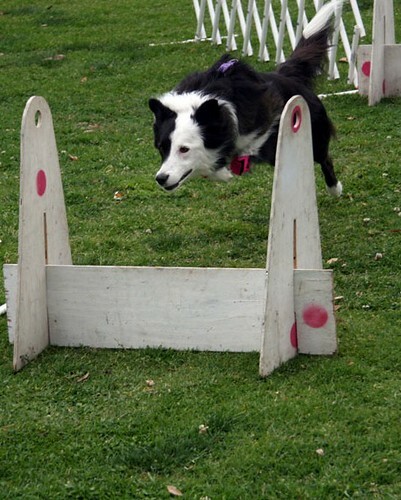 Join the Ballistic Racers Flyball Team when Canine Companions for Independence hosts the sixth annual WOOFSTOCK: A Festival for Dogs & People on Saturday, April 10, 2010 from 10:00AM until 3:00PM. The event will be held at the corner of Park Boulevard and Presidents Way in San Diego’s Balboa Park. All proceeds from WOOFSTOCK will benefit Canine Companions, which is a nonprofit organization that provides assistance dogs to people with disabilities completely free of charge. This ‘60’s themed festival is open to the public and well-behaved, leashed dogs. There is plenty of free parking. Admission is only $5 and discount coupons are being distributed to local businesses. Sponsorship and vendor opportunities are available. The day will begin with the Peace, Love & Walk ‘N Roll fun dog walk at 9:00AM. Walk registration fee (($35 adult, $15 child, $60 family) includes the official WOOFSTOCK tie dye t-shirt, free Festival admission and a sWAG bag filled with great surprises! The walk is approximately 1.3 miles through beautiful Balboa Park and online registration is available at http://www.cci.org/woofstock. Walkers have the opportunity to raise funds for Canine Companions and exciting prizes will be rewarded based on the donations collected. The Top Dog Fundraiser will win a custom painting of their pooch by artist Deirdre O’Byrne! The WOOFSTOCK Festival begins at 10:00AM. 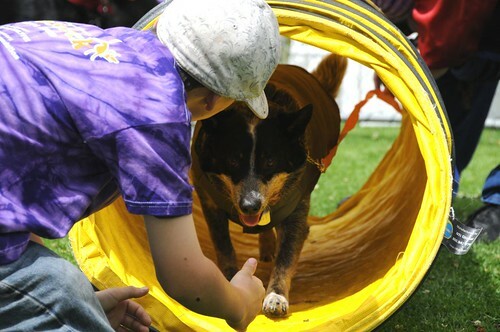 There are plenty of fun activities for the family and Fido! 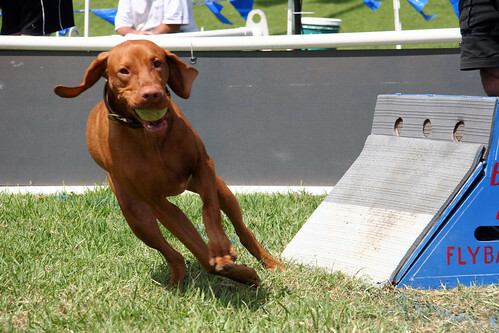 Enjoy demonstrations by amazing canines including assistance dogs, Disc Dogs, search and rescue dogs and our own Ballistic Racers Flyball Team. Compete in contests for Grooviest Costume, Best Trick, Longest Tail, and Biggest and Smallest Paws. Check out the games and activities at the Children’s Fun Zone. Bring your dog to the K9 Playground. Shop at the dozens of vendor booths, bid on unique items in a silent auction and enjoy delicious refreshments. 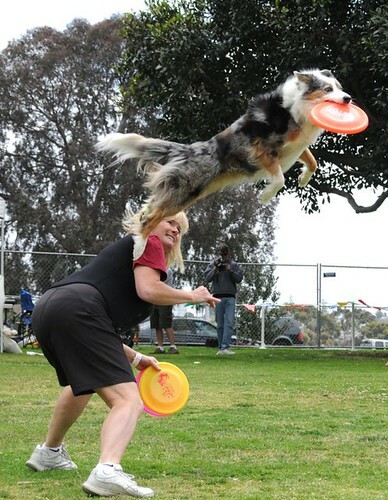 WOOFSTOCK is the premiere dog festival in San Diego County! Last year, approximately 2,000 people attended. For more information, visit http://www.cci.org/woofstock or call (760) 901-4300. For sponsorship and vendor inquiries, contact Annie Scott at (760) 901-4306. Canine Companions for Independence provides highly-trained assistance dogs to children and adults with disabilities. Established in 1975, Canine Companions has five regional training centers across the country, including a local facility in Oceanside. Canine Companions is recognized worldwide for the excellence of its dogs, and the quality and longevity of the matches it makes between dogs and people. There is no charge for the dog, training and ongoing follow-up services. For more information, visit http://www.cci.org or call 1-800-572-BARK.